Rony Lopes in action last summer for the Portugal U-19s. Lopes is possibly the most well-known name to be included in Sousa’s team. In a game that could potentially impact European coefficients, FC Porto met French side Lille at the Stade Pierre-Mauroy in the first of two legs in qualifying for the 2014-15 UEFA Champions League group stage. Both sides came into the match in good form, taking home three points in the last round of domestic play with professional displays. Ambitious clubs with European pedigree, both camps were confident of a positive result in the North of France; with anything but qualification expected, but a Herrera strike in a scrappy, albeit professional display, from the Dragons put them in the driving seat ahead of the second leg at the Dragão. René Girard played a defensive-minded 4-3-3 with playmaker Marvin Martin out with a hamstring injury from the win against Caen. Mavuba played as the holding midfielder, with fullback turned winger Corchia operating on the right. Belgian World Cup star Origi operated on the left flank, with Salomon Kalou the playing through the middle. Lopetegui lined up with an adaptable 4-3-3 formation, sometimes resembling a 4-2-3-1, with Casemiro’s inclusion raising some eye brows, coming in for sacrificed captain Quaresma, as the ‘number 6.’ This liberalised Ruben Neves in a more advanced position, becoming the youngest Portuguese player since Cristiano Ronaldo to play in the Champions League. Herrera set up shop further forward, with Brahimi and Oliver Torres on the flanks. FC Porto started the opening period the better of the two sides; occupying space well and demonstrating quality through the middle in accounting for 70% of possession in the opening thirty minutes. In this regard, the Dragons lacked quality in the final third as they struggled to carve out opportunities against a stubborn Lille defence with a tentative approach. The first instant of danger came in the 12th minute from a Neves effort that was always going wide, saved by Nigerian keeper Enyeama. Jackson tried his best to change this, involving himself as much as possible, running in behind the Lille back four and dropping back in support. Neves continued to impress in a largely uneventful encounter, playing in a beautiful free kick for Jackson, who just missed it with his head. The difference was a tug on the Colombian’s jersey with a decent penalty shout. On the other side, Lille continued to struggle; mustering their first shot on goal on the 34th minute mark with a tame deflected effort from Corchia. But the best chance of the match by a mile fell to the French from an Origi cross on the cusp of half time. Having turned Maicon inside out, the Liverpool loanee, quiet up to that point, teed up the lively Corchia for a blocked shot only yards out from goal, wastefully skying the second effort over the bar. The complexion of the match in the second half remained unchanged from its predecessor, with opportunities at a premium, as Porto dominated possession with little to show for it and Lille happy to sit back. Brahimi and Torres both looked lively going forward, with some fine touches and ball movement, as well as Ruben Neves, emitting an air of confidence from the deal ball, taking on shots from distance and the opposition. Origi attempted to change the match’s rhythm, trying to stretch the Porto defence in drifting to the left with Kalou down the middle, unusual considering Origi’s pace in one-upping Maicon on a few occasions. At the hour mark Lopetegui decided to play his first hand with the bright Brahimi coming off for Tello. The Barcelona loanee made an instant impact similar to that a few days prior against Maritimo, exchanging a neat one-two with his head as Neves played him into space, leaving Souaré in his wake. The Spaniard checked his run and delivered a sumptuous cross to Martinez, whose magnificently saved effort on goal from a leap was dispatched emphatically into the back of the ol’ onion bag from Herrera, much to the delight of the travelling Tripeiro faithful. Immediately afterward the goal, Girard made his first move, throwing on Manchester City loanee and Portuguese youngster Marcos Lopes, joining Neves with his European debut, for the largely ineffective Balmont. Tello continued to run riot, nicking the ball of Mavuba and following it up with a lovely ball to Jackson who got too excited in being caught offside. Origi, continued to show promise as the game wore on, taken off for boyhood Porto fan Mendes. In open play, Lille still continued to struggle to muster opportunities, although a different story from the deal ball, with a drilled free kick from Corchia evading a Souaré header as Fabiano made a clutch save; Mendes close on the follow up. The largely ineffective Kalou was brought off for Roux with Girard playing with two recognised strikers. Lopes sat behind, with Mendes and Corchia adding width in a largely attacking formation. Lille continued to gain a strangle hold of proceedings, although still not troubling the Porto back four in the final third, as The Great Danes lacked fluidity in their passing game. Porto was fine to sit back and play on the counter; Herrera dropping back in midfield with Casemiro as Evandro, took up the number 10 role. The last opportunity for the game came from Lille. Lopes raced past Casemiro with a burst of speed after a couple of step overs, playing a ball into the box, with Corchia leaving it for substitute Roux. The Frenchman’s expertly taken touch made space for a shot, only to be denied the shared spoils by Maicon. At the half-way point of the tie it is Porto that holds all the cards. René Girard will regret not forcing the issue on home turf, with late flurries not hiding this fact. Lille will rue golden opportunities from Corchia and Roux after a tentative start, but based on the balance of play, the better side won. Lopetegui and his men will take a crucial away goal back to the Dragão in vying for their 19th appearance in the Champions’ League group stage as they meet in six night’s time. Many are looking for Marcos Lopes to have a big season at Lille, where he is on loan from Manchester City. Portugal is once again producing quality young footballers at a scale not seen since the ‘Golden Generation’ that emerged in the late 1990s. But at no time has there been more Portuguese youngsters playing abroad in Europe’s top leagues. Only three of the ten players on this list will be playing in Portugal this season. Please note, this list includes only players that have yet to establish themselves as national team players but who we believe can conceivably do so during Euro 2016 qualifying. Both Bruma and André Gomes have received call-ups but have yet to establish themselves as regular players. Here now is a list of 10 Portuguese young stars to watch this season. Last season was probably the best debut season Ruben Vezo could have asked for. He was definitively promoted to Vitória de Setúbal’s first team after two successful seasons with the club’s under-19 side. And it only took him half a season to catch the eye of La Liga giants Valencia. After making 12 appearances for Vitória de Setúbal , the central defender was off to Spain. Used primarily as a backup at Valencia for the rest of the season, Vezo still managed to appear eight times, scoring once. This season, under new manager Nuno Espirito Santo, Vezo should play a more prominent role, especially considering Ricardo Costa and Jeremy Mathieu have left the club. Vezo will now compete with Nicolas Otamendi and Shkodran Mustafi for playing time, two well-established internationals. This is no easy task, but Vezo has the tools to develop into a solid defender. And at only 20-years-old, he has plenty of time to reach that potential. Having been born and raised in France, it could be said that Raphaël Guerreiro is a bit different from other players on this list. Born to a French mother and a Portuguese father, Guerreiro’s allegiances thus far lie with Portugal, despite never having played in the Portuguese league. He is already an established first-team player at French side Lorient. Despite having played only one season in top-flight, Guerreiro is already viewed as one of the most promising left-backs in Ligue 1. It appears that little will change this season, with many touting him for another good campaign. With another successful season under his belt, larger clubs will surely come knocking for Guerriero’s services. 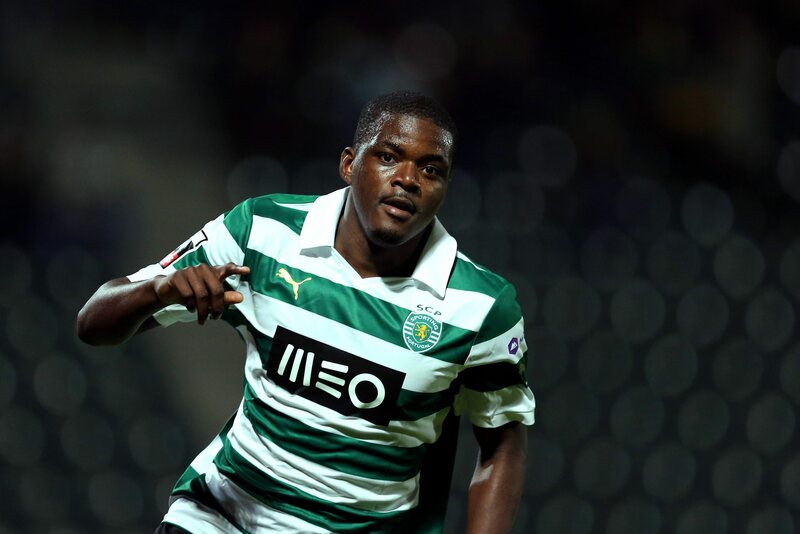 He has reportedly drawn interest from Premier League clubs West Ham and Liverpool . If he can manage to stay healthy, Raphael Guerreiro could be the subject of a bidding war next summer. The 21-year-old midfielder began making a name for himself in Benfica’s reserve squad with some dominant performances at the beginning of the 2012-13 season. He would make his senior debut with the club that season in a Portuguese Cup match against Freamunde, scoring a goal in a 4-0 victory. His performances would earn him some playing time in the Champions League as well. Gomes has exceptional technical ability and is versatile as well. He played in defensive midfield last season with Benfica, but his attributes are better suited for an attacking role. After being heavily linked with a move to the Premier League in January 2014, his rights were sold to an investment fund for €15 million. 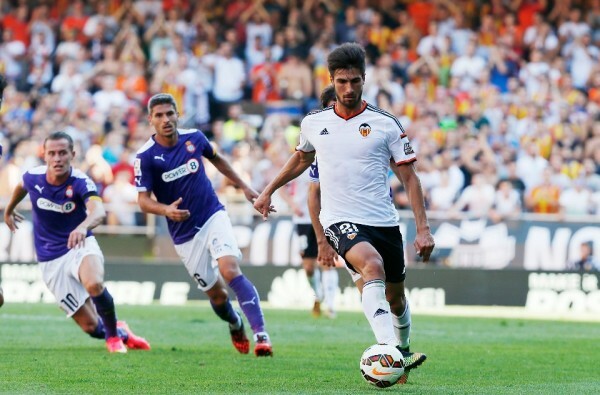 Gomes will be part of a resurgent Valencia side this season. Few would have expected João Teixeira to have been as involved in Benfica’s pre-season as he has been, playing mainly as an anchor man in the midfield. 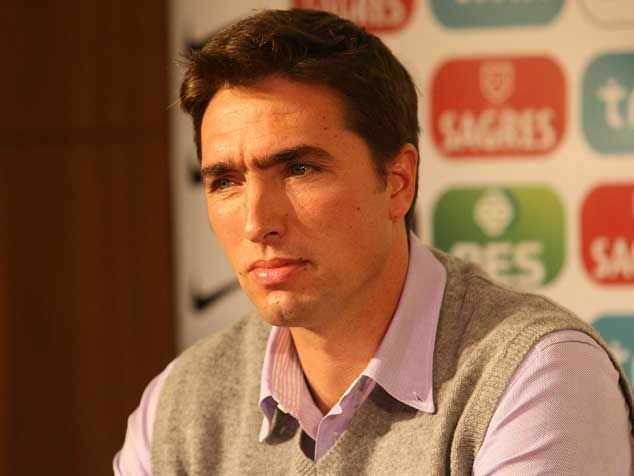 Teixeira made 28 appearances for Benfica’s B team last season, but only 16 of those were starts. Still only 20-years-old, Teixeira has been a welcome surprise in Benfica’s otherwise underwhelming pre-season. With the team’s first-choice holding midfielder, Ljubomir Fejsa out injured for the foreseeable future, Teixeira is now creating competition for Ruben Amorim. 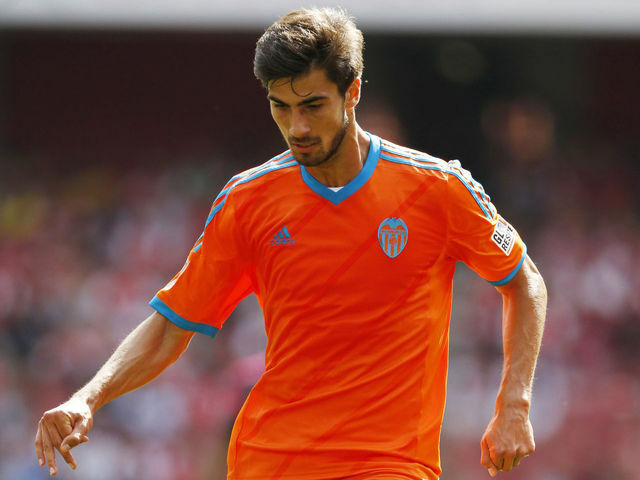 Benfica manager Jorge Jesus has a history of nurturing young talent, as he did with Andre Gomes. And should Teixeira be given a first-team role this season, look for big things. João Mário has long been viewed as a top Portuguese prospect. The midfielder has been at Sporting since he was 11-years-old, but has only managed one first team appearance so far. After spending the entire 2012-2013 season playing for Sporting’s B side, João Mário was loaned out to fellow Primeira Liga outfit Vitória de Setúbal for the second half of last season. He immediately earned a regular place on the team and managed to make 15 league appearances. His performances were enough to earn him the ‘Young Player of the Month’ award for January and February, ahead of the likes of William Carvalho, Ricardo Horta, and Bebe. João Mário was recalled to the Sporting senior squad this summer and he appears to be in contention for a starting position. His work this pre-season has not gone unnoticed. Former Sporting midfielder Luis Vidigal delivered a glowing recommendation for the player in a recent interview. ‘ It is only a matter of time before Marco Silva realizes the value of João Mário,’ Vidigal said. Unlike most players on this list, Bruno Fernandes never played for one of the ‘Big Three’ of Portuguese football. In fact, the Udinese midfielder never even played for a club in Portugal’s top division. The former Boavista youth player accepted a modest offer from Italian club Novara in 2012. He has adjusted well to the Italian game, helping Novara to promotion the following season and earning a move to Udinese last summer. Fernandes started last season in Udinese’s reserve squad, but eventually earned his way into the starting line-up. He impressed with his vision, technical skill and creativity, playing mainly in the ‘Number 10’ position behind the striker. Fernandes would make 24 Serie A appearances, scoring four goals. And he is finally receiving some recognition in his home country, having been selected for the U-19 and U-20 youth squads. A supremely-gifted attacking midfielder who will be officially on-loan for the next two seasons at Estoril. The 21-year-old is a graduate of FC Porto’s youth academy and has been a regular player for Portugal at every youth level. He was dominant last season playing for Porto’s reserve squad in the Segunda Liga, scoring 21 goals in 40 appearances. As well as having an eye for goal, Tozé has a well-rounded game. He is technically skilled and is versatile as well. He could play in the centre of the pitch, as well on the wings. He should receive more playing time with Estoril, who will be playing in the Europa League this season. Current manager José Couceiro, did an excellent job with a young squad at Vitória de Setubal last season. Tozé appears ready to make the next step. Perhaps the most talked-about teenager in world football. Marcos Lopes first made a name for himself as a Benfica youth player, before leaving for Manchester City in 2011. He would score in his first ever appearances for The Citizens in a January 2013 FA Cup match against Watford, only minutes after coming on as a substitute. He continued his dominant performances for Manchester City’s youth squad. Lopes played for Portugal this summer at the U-19 UEFA Championships, helping his country to the final where they eventually lost to Germany. An attacking midfielder, with exceptional technical ability and vision, Lopes feels most comfortable on the left side of the pitch. His style of play has often been compared to Ronaldinho. The 18-year-old will spend this season on loan at Ligue 1 club Lille. 19-year-old Ricardo Horta was one of the top revelations last season in Portugal’s Primeira Liga. The supremely talented winger is a former Benfica youth player, who moved south to Vitória Setúbal in 2011. He started playing regularly for the club last season, eventually helping them finishing a better than expected seventh in the league table. Horta would score seven goals for the club along the way. It came as no surprise when La Liga club Málaga signed him this summer. Horta has not wasted any time impressing his new fan base. He scored a beautiful long-range goal in the pre-season against Australian club Perth Glory in late July. And he has dazzled fans with his exceptional skill, making him one of the top young players to watch this season in La Liga. Once hailed as ‘Portugal’s next big thing,’ Bruma’s career has stalled due to a serious knee injury sustained last January. The timing for the winger’s injury could not have been worse. He was just beginning to find his feet at Galatasaray with a series of positive performances in both the Turkish league and the Champions League. Bruma was selected to the national team for the first time in October 2013, just a few months before his injury. Any hopes he had of representing his country at the World Cup were all but finished. But Bruma is now healthy and back playing football. He had a positive pre-season, which is something that his new manager Cesare Prandelli should take note of. At only 19-years-old, Bruma already has the tools to become an elite player and soon. 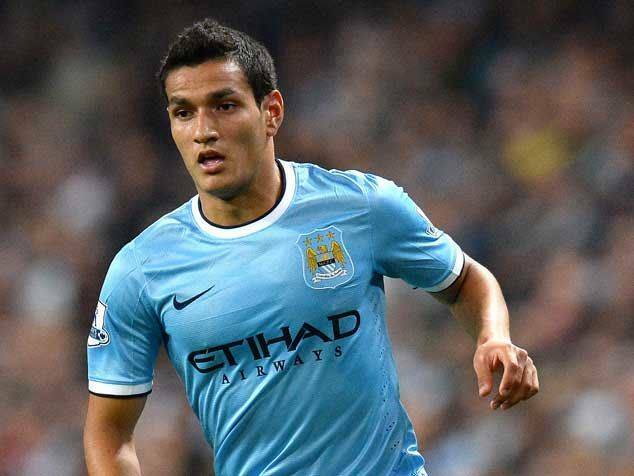 Manchester City wonderkid Rony Lopes, also known as Marcos Lopes, has joined Lille on a one-year loan deal. Still only 18, Lopes’ impressive performances for Manchester City’s U19 team, which he captained, earned him some time in City’s first team last season. Though only confined to a handful of matches in the League Cup and the FA Cup, Lopes impressed greatly. In the FA Cup tie against West Ham, many would argue that Lopes was Manchester City’s best player, assisting two goals. Not only has he made a name for himself at City, but Lopes is making waves in Portugal’s youth teams. Currently captain of Portugal’s U-19 team, he will lead the team into this summer’s UEFA U-19 European Championship. And it won’t be the first time either. Lopes played in all four of Portugal’s matches last summer, as the team was knocked out in the semifinals of last year’s edition by eventual winners Serbia. Having already made an appearance for the Portugal U-21 team at only 18, Lopes has shown that he is playing on a different level than most his age.